The clocks have gone back, making it officially boot season. That said, there’s no better time to sock up and “boot up” in this season’s newest styles. 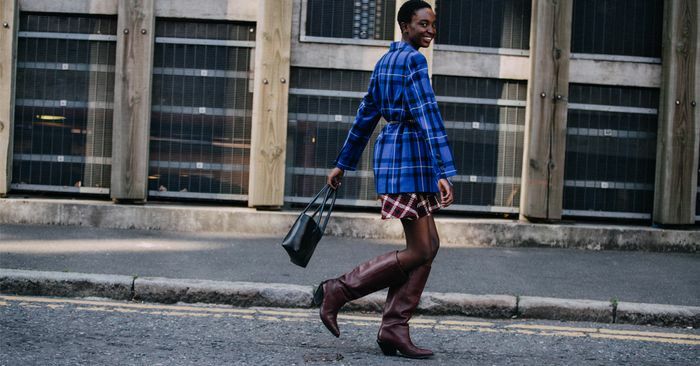 To help you decide on which pair (or pairs) you’ll be wearing all winter, we’ve rounded up the boot trends that are really worth investing in this year. We’ve seen the return of many classics, but most of them have been given a 2018 update—such as knee highs with a super slouchy twist. Similarly, hiking boots are back again from practical brands such as Sorel to those unlikely names like Miu Miu and Ganni. Wellington boots have also undergone an extremely fashionable makeover. Before we give too much away, let’s scroll through for the full low-down. Whether you’re after a pair of actual riding boots or some holiday party boots, we’ve got the very best for all budgets.